The world at large, and more specifically developing countries, are finally making some strides for the financial inclusion and engagement of women and the role of the woman in the economy is expanding rapidly and parallel to the various dynamic business sectors that make up the economy. 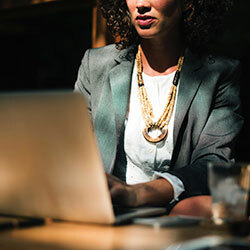 "The dialogue and efforts about the creation of access and inclusion of women to finance seems to have evolved to how the woman's role can be capitalised on, for herself and for the greater economy," shares the Ombudsman for Banking Services, Reana Steyn. Women's Market data reported by Global Banking Alliance banks demonstrates strong emerging trends in favour of serving women as a distinct market. This woman's month, the office of the Ombudsman for Banking Services decided to enquire what it was that women want from their bank. An informal survey asked the group of employed urban South African women about what their ideal banking experience is, as women. With 66% of the women taking charge for the finances of the household, it confirmed the important role women played when it comes to financial decisions. "It is significant that less than half of the group stated that they feel that their bank does not understand them. If the statistics and experience is similar for the larger population, it will be important to try and understand what this means to them" shares the Ombudsman. Amongst our small group, the responses ranged from: "My bank is not proactive with updating my credit and income profiles when my salary increases. I am a premium banker, I want more attention and advice. I would like rewards to go to the spa or salon for birthdays and women's month from my bank." The commonality, and eventuality, in the +21 different types of complaints that the office opens, is customers being out of pocket. From the top 3 categories, of Online banking, ATM and Credit Card related banking problems, the unfortunate common denominator is the loss of money as a result of fraud. In cases where the victim is a single mother or single parent household, a very common situation in South Africa, the outcome can be devastating. More and more, there appears to be a need to consider the lifestyle and individual needs of bank customers and to offer more personalisation when it comes to banking of shares the Bank Ombuds. For example, one participant said: "I need access to small finance for emergencies, not a loan. If I could send a quote to my bank for my child's doctor's consultation, or other emergencies, for them to pay it immediately and I repay the bank." For this Women's Month the advice from the Ombudsman is to take charge of your banking. "Your bank accounts are the smart storage facilities of our hard earned money." Manage and run your account with the discipline that your lifestyle requires you to finance it. Whether your banking products are best suited to your needs. Do you know how to protect yourself against a fraudster at the ATM and when doing internet banking? If not, customers should make every effort to read up on information that is available online and various websites, e.g. Sabric. Do you understand the rights and obligations attached to each different product? Are you managing your budget correctly? Do you know how your credit report works and how to manage and improve same? Checking you bank statements every single month is the only way to ensure that you are on top of all your spending, bank charges as well as preventing unauthorised transactions to go unnoticed. "We will continue to share earnings and information in the hope that the insights provided contribute to a better customer experience, not only for women, but for all bank customers," says the Ombudsman. Obtain a written response from your bank.